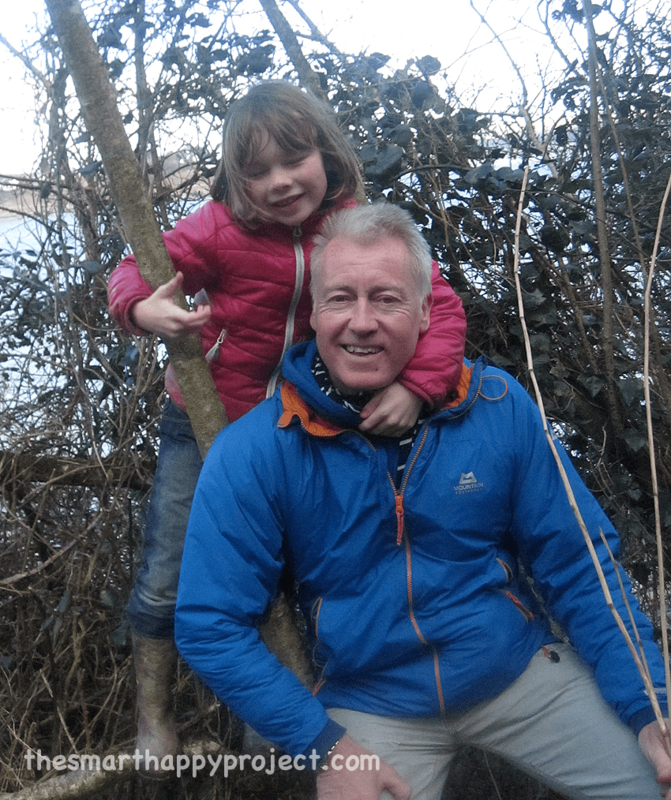 Introducing Shelley Hutchinson, an accredited counsellor specialising in trauma and relationship issues who has written for us on the benefits of nature to families. Read Shelley’s profile. Many of us adults lead very sedentary lives, often working in front of computers during the daytime and sitting in front of the television in the evenings. With rising rates of obesity in children it seems that children are also leading more sedentary lifestyles, spending less time outdoors and more time in front of screens playing computer games or on their mobile phones. Getting outdoors for regular exercise such as walking or cycling is a great way for adults and children to change their sedentary lifestyle and benefit from improved physical health at the same time. Through imaginative play children develop all sorts of skills including language skills, social skills, self control, problem solving skills and intellectual abilities. With all the different textures, smells, sights and sounds nature has to offer, children readily engage in imaginative play with the natural materials they come across. Leaves, flowers, stones, rain water, earth and little animals such as worms, ants etc.. are both educational and fascinating for young children. When parents and children spend time in nature, it can be easier to connect and bond with one another. Getting away from life’s distractions can help parents to slow down, be present with their children and have time to talk to them. This bonding time can be particularly important if a family is going through worries, difficulties or stresses. Kids might also find it easier to talk to their parents outside of the family environment. Research studies have shown that adults and children who are exposed to greener environments experience less anxiety and depression than those exposed to urban man-made environments without plants and other greenery. This could be because being in a garden or an environment with trees and plants allows people to be more centered. Being able to let go of multi-tasking and instead focus on just one task at a time enables people to de-stress. 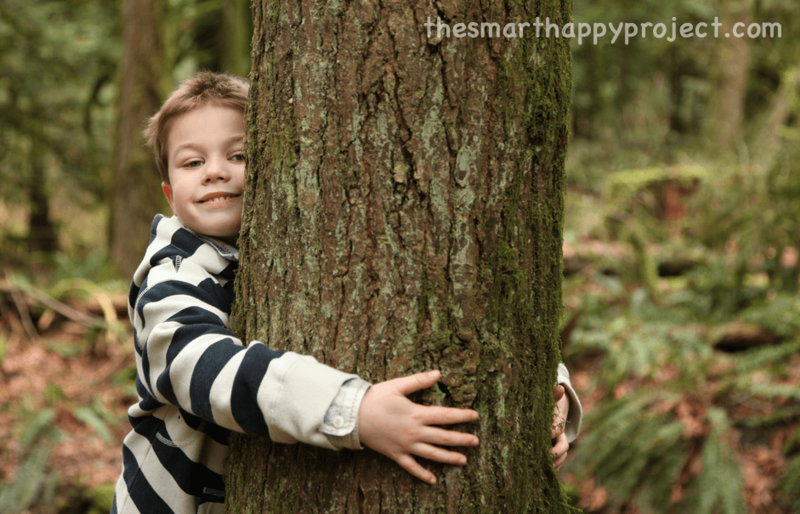 Hugging a tree is a great way for a person who is feeling anxious to ground themselves and release tension from their body and mind. Children and adults who spend time in nature develop a feeling of being connected to each other and also to the environment they live in. Spending time outdoors can lead children to feel less fearful about venturing into new environments and become more independent. They also tend to develop a love and passion for the environment and a desire to protect it. This is significant at this time given the rate of destruction of our natural world. 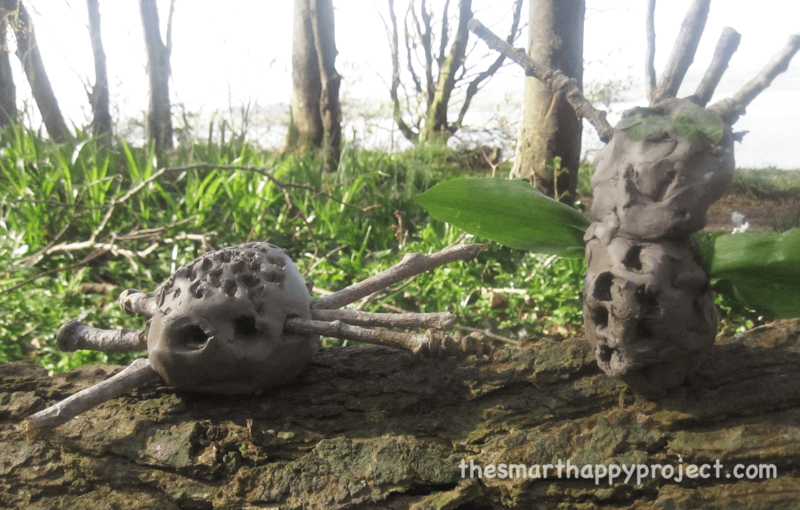 The Smart Happy Project ‘Wild Things’ will be gathering again on Saturday 3rd May. Shelley will be joining us for a walk and a picnic. Hope to see you there.